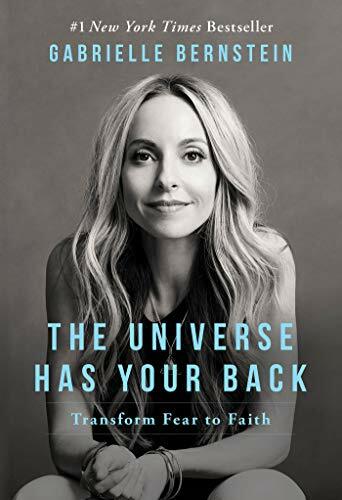 I just started re-reading Gabrielle Bernstein’s The Universe Has Your Back because I’ve been struggling with fear. When I stop to really think logically about my fear, I realize that everything is going to be okay. I have everything I need within me to be successful. I have a family who loves me and who loves my daughter. I have wonderful friends who support me and encourage me. I am intelligent and resourceful. When I look back on my history, I see that everything has always worked out for my highest good. Everything. God has always been there for me and made a way when I couldn’t see one. I know that I am a child of God and that God takes care of his children. I know this and still … I find myself struggling. You see, oftentimes our fear isn’t logical. It’s a crying toddler that you can’t reason with using words. It can totally get the best of us if we let it. Today I want to remind you that the universe has your back. Heaven knows your name. Your struggles are known by God and he’s already on top of it. Will you surrender control to the Source and practice trusting that everything is working out for your highest good? If you look at life thru the lens of “me against the world,” it really is you against the world. However, that’s not reality. The reality is that you are never alone. The truth is that the universe always has your back. Now it’s your turn. Comment below and let me know what’s been on your fear radar lately and one small step you can take to restore yourself back to love. I’m cheering for you. Like the angels do every single day. Did you like this post? Please feel free to download, pin and share the following graphics to your social media outlets so that your loved ones can read this post, too. I thank you so very much.